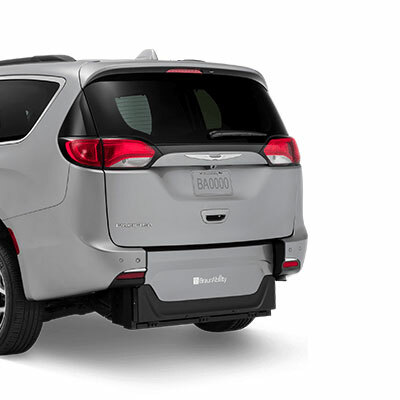 When you combine the utility of a rear-entry vehicle with a spacious interior and style to spare, you get the all-new rear-entry BraunAbility Pacifica wheelchair van. 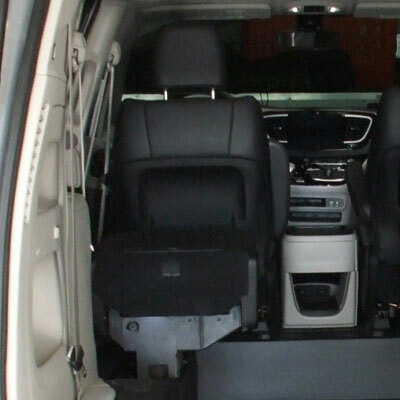 BraunAbility wheelchair vans have sedan lines blended with a minivan chassis that offers the perfect blend of style, space and function. 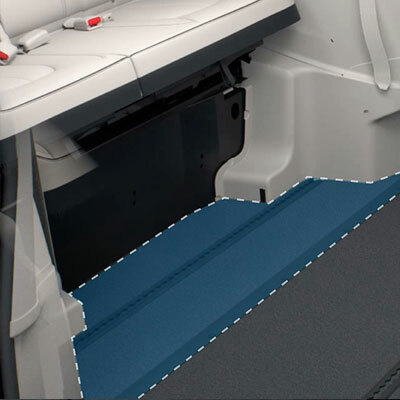 With a spacious entry featuring a 34” wide ramp and 56” doorway, BraunAbility wheelchair vans have room for every mobility need. 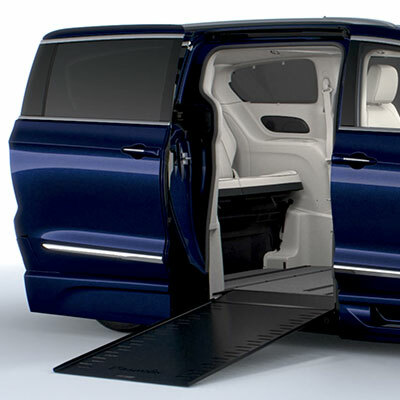 The BraunAbility Pacifica wheelchair van is tested to the highest Federal Motor Vehicle Safety Standards. Ergonomically correct seating with flip-down footrest in BraunAbility wheelchair vans provide a much more comfortable ride. 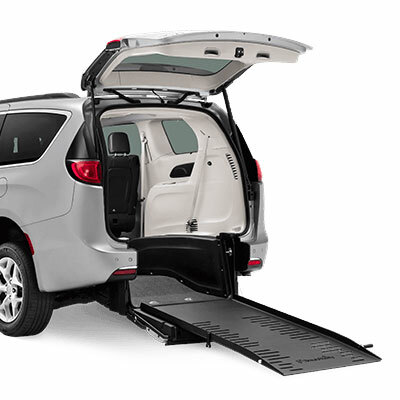 A simple-to-operate, light ramp makes it easy to stay on the go. 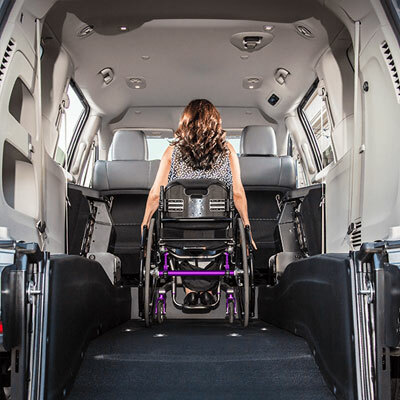 In the all-new BraunAbility Pacifica wheelchair van, every inch feels like a mile. 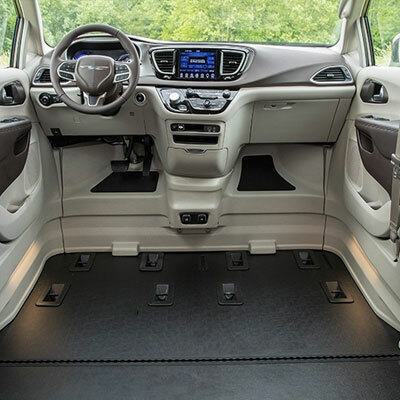 It gives you all the space you need – and all the convenience you want. 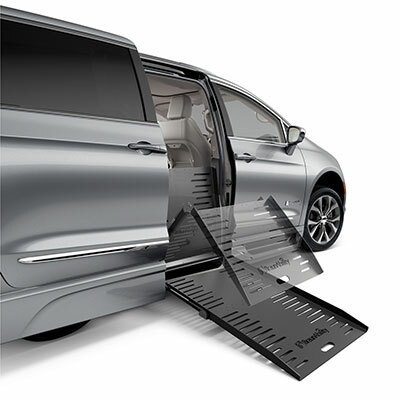 Full-width, third-row footrest for up to three passengers, the most in the industry. Low ramp angle for effortless entries and exits. All-new theatre-style lighting illuminates cabin, ramp and step flares. 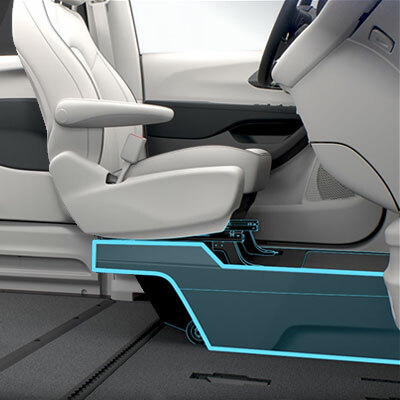 Cantilevered seat bases increase turning radius within the cabin and provide superior maneuverability. 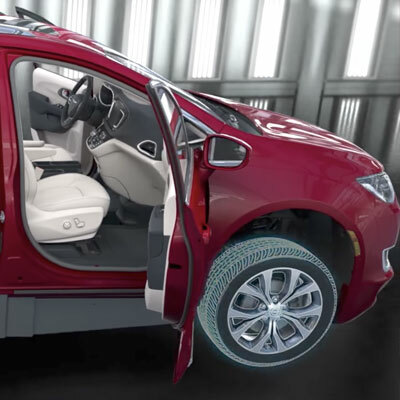 Rear-axle technology expands cabin space by 7” more than any other Pacifica. What you’ve been asking for. 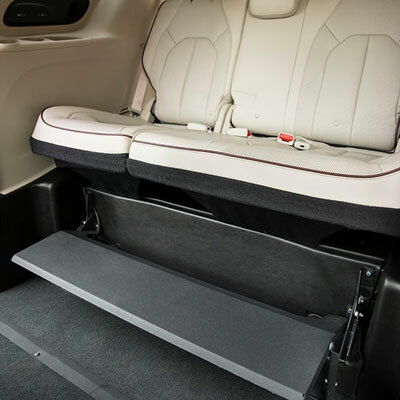 The most spacious wheelchair-accessible van on the road combined with the convenience of our widest and strongest infloor ramp in the industry. With a simple push of a button, you’re ready to enter or exit with ease.